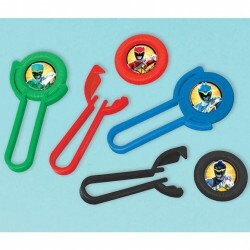 Power Rangers Party SuppliesThere are 9 products. 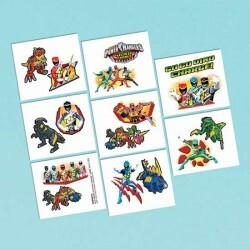 8/Pkg - Official licensed mask. 8/Pkg - Paper hot-cold cup measures 9 ounces. 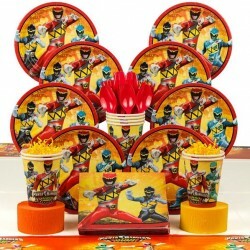 The Power Rangers Dino Charge Deluxe Kit (Serves 8) is the perfect way to serve 8 guests at your party. Everything you need has been grouped together for you. Be sure to buy as many sets as you need so that everyone at the party has a place setting and that there are extras for seconds.